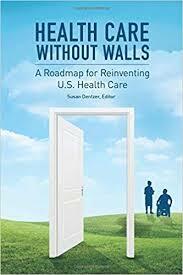 On Wednesday, December 19th, 2018, PCPCC will host a webinar to discuss Health Care Without Walls: A Roadmap for Reinventing U.S. Health Care. This report presents a roadmap to fix the U.S. health care system and suggests regulatory, payment, workforce and human factor changes to advance a more technology-enabled health care system. Susan Dentzer, President and Chief Executive Officer of the Network for Excellence in Health Innovation, will present the overall report findings. Dr. Sunny Ramchandani, Deputy Chief Medical Officer of Aetna, and Dr. John Bulger, Chief Medical Officer of Geisinger Health Plan, will discuss the implications for primary care.